Abstract: BACKGROUND: Fasciotomy wounds can be a major contributor to length of stay for patients as well as a difficult reconstructive challenge. OBJECTIVES: To evaluate lower leg fasciotomy wound closure outcomes comparing treatment with combined dressing fabric (COM) and negative pressure wound therapy (NPWT) in combination with elastic dynamic ligature (EDL). 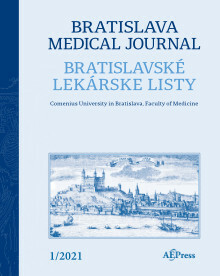 METHODS: Retrospective study of 63 patients who underwent lower leg fasciotomy due to injury treated from January 2008 to December 2015 at the Department of Trauma Surgery, University Hospital Brno. Of these fasciotomy wounds 42 received a NPWT treatment in combination with EDL, 21 were treated only with COM. Fasciotomy wounds were closed either with primary suture or in case of persisting oedema and skin retraction the defect was covered with split thickness skin graft. RESULTS: There was statistically significantly higher rate of primary wound closure using the NPWT versus traditional dressing (p = 0.015). Median time to definitive wound closure or skin grafting was shorter in the NPWT group. Number of dressing changes was lower in the NPWT group (p=0.008). CONCLUSION: NPWT combined with elastic dynamic ligature offers many advantages for fasciotomy wound closure in comparison with traditional techniques (Tab. 5, Fig. 3, Ref. 21).